What: Ipsy Glam Bag contains 5 deluxe samples and full sized beauty products (mostly makeup) in an exclusive makeup bag. Fun Extra: You can review your products each month to earn ipsyPoints which can be redeemed for bonus items. 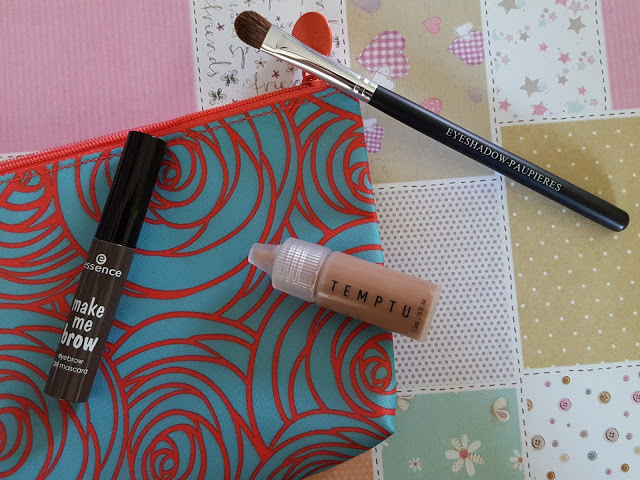 Ipsy is one of few beauty subscriptions out there where a $10 bill can get you a bag stuffed with at least three times that in value. Each glam bag is supposedly curated according to your beauty profile, which in all honesty I don't think is very accurate, but it's still fun to see what will pop up each month. March's theme is Hello Spring, and the postal service has impeccable timing as mine arrived on *gasp* the first day of spring! I'm hoping this bag will take us away from subdued winter tones and introduce us to the colorful sunshiny cheerfulness that is spring! Marc Anthony Argan Oil 3 Day Smooth Perfect Blow Dry Cream (1.69oz value: $2) - Time to ditch those beanies and let the world see your beautiful hair! I'm a huge fan of Marc Anthony argan oil products and the nourishing treatment is my HG at the moment. This smoothing cream will tame the frizzies as you blow dry PLUS straighten out your waves for up to three days. Essence Make Me Brow Eyebrow Gel Mascara - Browny Brows (0.12oz full size! value: $3) - Essence is a cruelty-free European cosmetics brand. This is my first time trying something from them and I'm glad it's an eyebrow gel because it's just what I needed. :) This gel not only tames and shapes eyebrows, but it also fills in the gaps to make them appear even fuller. Good to know - the gel color is the same color as the packaging. Also good to know is that this baby stays put once it dries. I swatched some on my hand and not even my nails can scratch it off. Buuut it's not waterproof. At all. One drop of water is all it takes to make your eyebrows cry. Beau Gachis Eyeshadow Brush (Value: $12) - Yesssss. I can never have too many eyeshadow brushes. This one is made with natural and synthetic hair and will fit in nicely with its three cousins. I really don't wear makeup often enough to justify keeping so many brushes and pots and palettes around, but it's nice to have lots of colors and tools at my disposal and they're so fun to collect! Temptu WarmGlow Bronzer - One thing that bothers me about this sample is that since Temptu specializes in airbrush application, it's hard to get a true feel of the product without the sprayer. I can pat and blend this bronzer in all I want, but the texture and overall look will still be different than if I airbrushed it on (unless I'm just that good at makeup application, which I'm not). Gripes aside, believe it or not, this tiny 7.5ml bottle is just half a ml shy of the full size airpod, sans the pod itself. 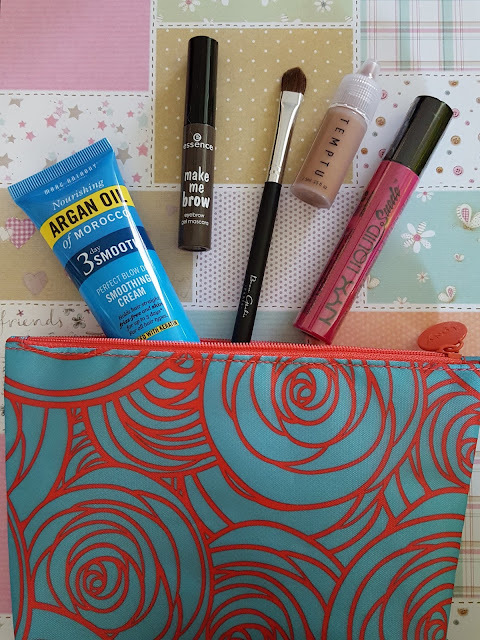 Makeup Bag - This month's bag has a rose pattern and it's okay, though not my favorite. I do like that it's only two colors, though. There are actually two (maybe more?) variations of the makeup bag this month, but I'd prefer this orange-on-blue variation any day. 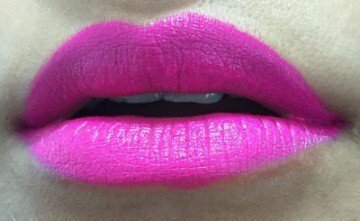 This month's verdict: it's another mediocre one for Ipsy. You know it's not a great bag when your favorite thing in it is a makeup brush. And not a fancy brush, either. Well, the eyebrow gel is okay too I guess. And the hair cream, except I don't blow dry my hair. Sad, the two spring-y things in here are the two I won't be using. Meh. Click here to get your own Ipsy glam bag for only $10 a month. 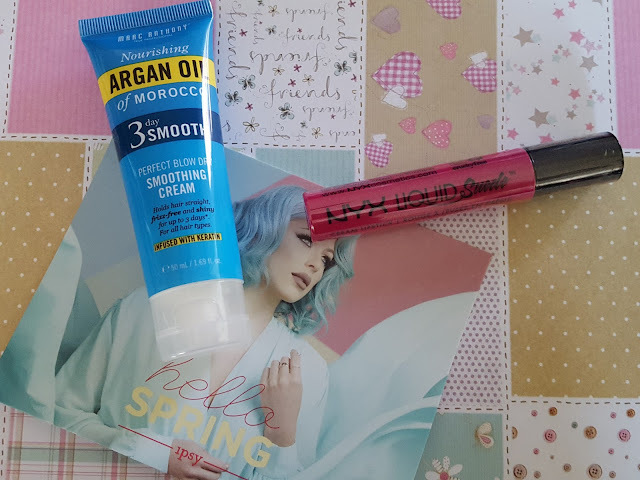 It's easily one of the most affordable beauty subscriptions and the value always exceeds the cost.